Bartlett Interactive is located in an industrial area off of the main road and parking is behind the building across the Nashoba Brook. There are also 2 other buildings with the same address (152 Commonwealth Ave.). 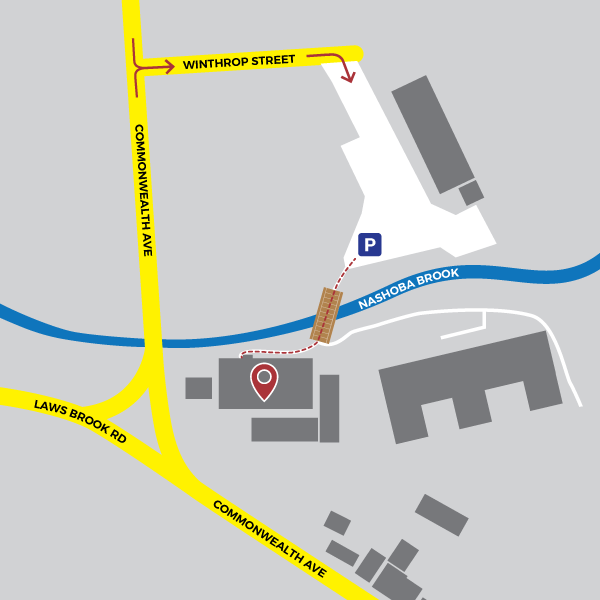 For our parking lot, input 56 Winthrop Street, Concord, MA 01742, into your GPS. Parking is on the right next to the brook. Cross the wooden footbridge and we are in the building on the right, above the Nashoba Brook Bakery. For an accessible entrance, please use the front door on the Commonwealth Ave. side. We are located on the second floor.